In another installment in Old Time Blues continuing series on territory jazz bands, let us turn our attentions to a hot little group from deep down south: Jack Linx’s Society Serenaders. Scarcely any information seems to be available regarding Jack Linx and his Society Serenaders. Based in Birmingham, Alabama, they formed in the first half of the 1920s and played gigs around town. In 1924, they traveled to Atlanta for the first of several sessions for the Okeh record company. They returned to Atlanta every subsequent year until 1927—twice in 1925. 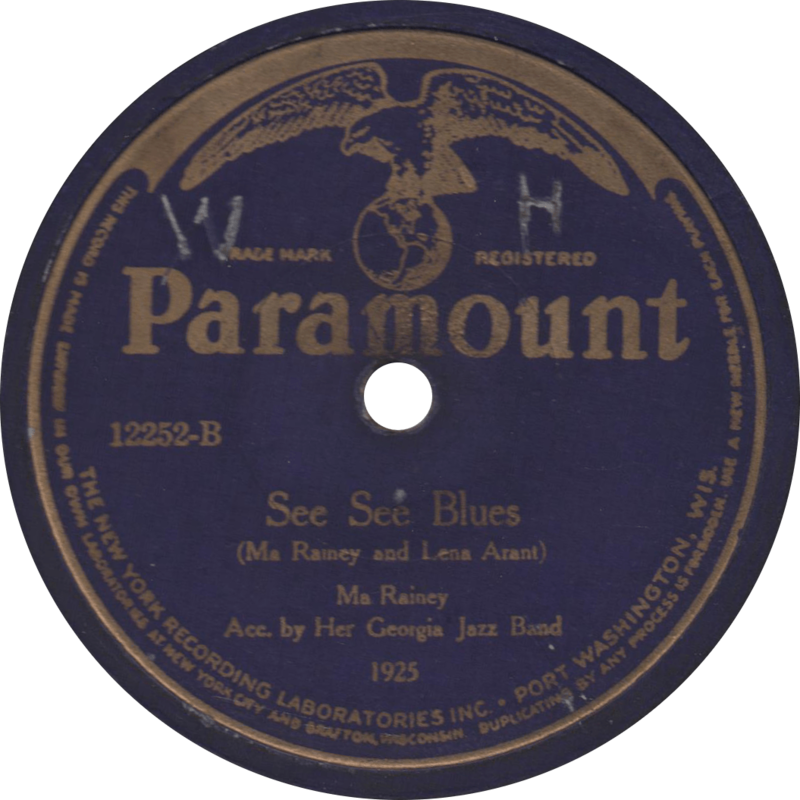 In that three year recording career, they cut a total of twenty-three sides for Okeh—including jazz standards like “Tiger Rag” and “Sweet Georgia Brown”, and original compositions like “Don’t You Try To High-Hat Me“—of which all but four were released. When the Starr Piano Company brought their Gennett mobile recording laboratory down to Birmingham, Linx’s band cut three more sides, though all were rejected, this time calling themselves the “West Lake Ramblers”. In 1929, the band secured a position as the house band of Birmingham’s stately new Thomas Jefferson Hotel and adopted the name “Jeffersonians” accordingly, and they played on local radio station WAPI the same year. Okeh 40188 was recorded in Atlanta, Georgia on August 28, 1924 by Jack Linx and his Society Serenaders, their first released record from their first session, consisting of their second and third recorded sides. It was also released in the United Kingdom on Parlophone E 5263. The Society Serenaders consist of Coleman Sachs on cornet, Jack Linx on clarinet, soprano sax, and alto sax, Sidney Patterson on clarinet and alto sax, Seibert Traxler on clarinet, tenor sax, and baritone sax, Eph Tunkle on piano, Maurice Sigler on banjo, Frank Manning on tuba, and Carroll Gardner on drums. First up, they play hotter than you might expect from a band called the “Society Serenaders” on an out-of-this-world rendition of Wendell Hall’s hit “It Ain’t Gonna Rain No Mo'”, with a low-down and slightly raunchy vocal by banjoist Maurice Sigler. Interestingly, it seems to be the only side they recorded to have a vocal. 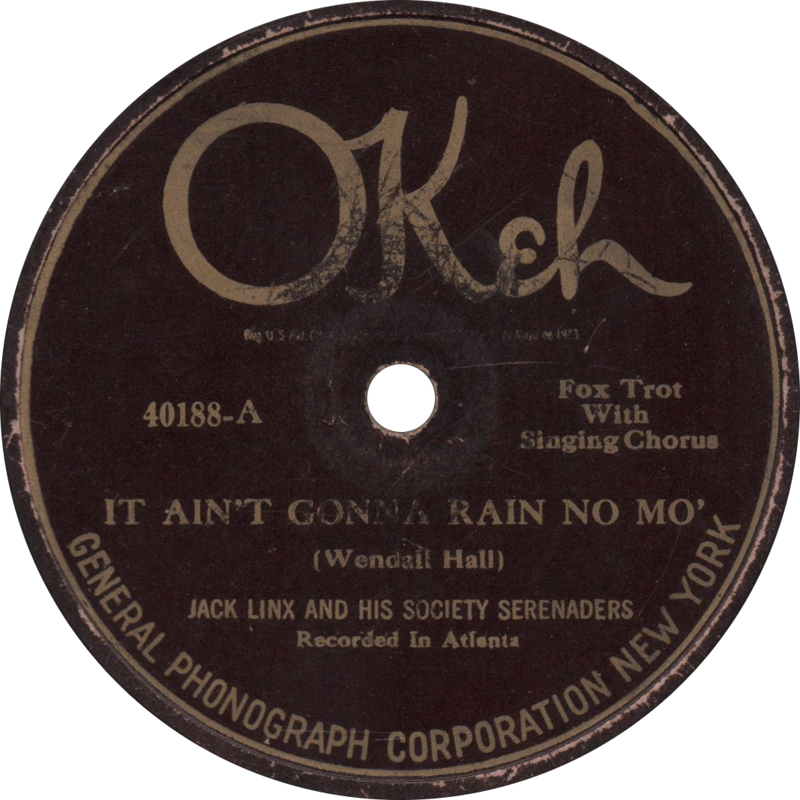 It Ain’t Gonna Rain No Mo’, recorded August 28, 1924 by Jack Linx and his Society Serenaders. On the “B” side, they play the Art Kassel and Mel Stitzel novelty composition “Doodle Doo Doo”—which served as the theme song for the former’s Chicago-area band—featuring a dandy rag-style piano solo by Tunkle. 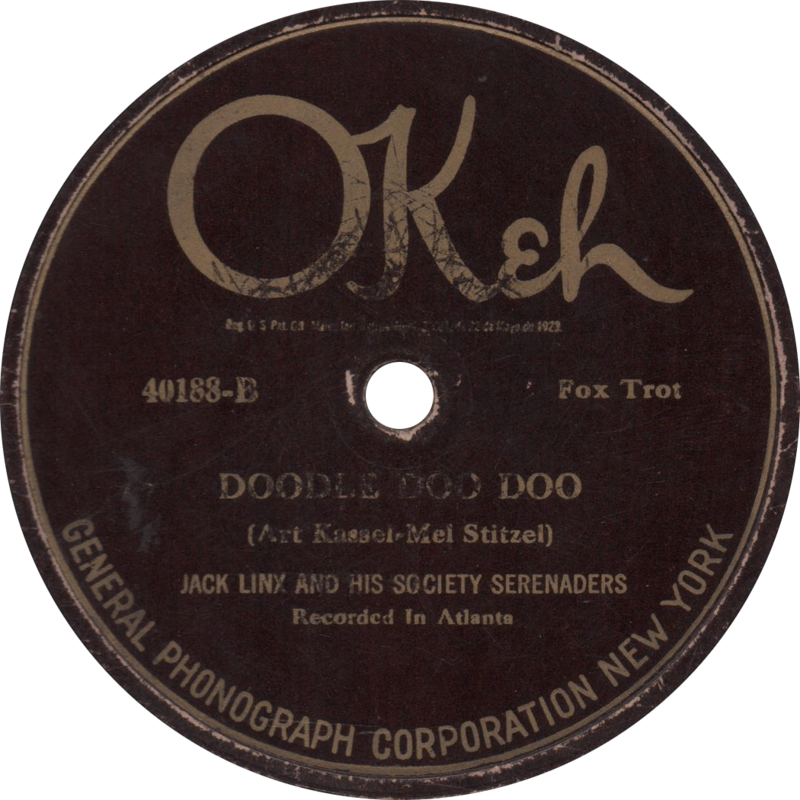 Doodle Doo Doo, recorded August 28, 1924 by Jack Linx and his Society Serenaders. 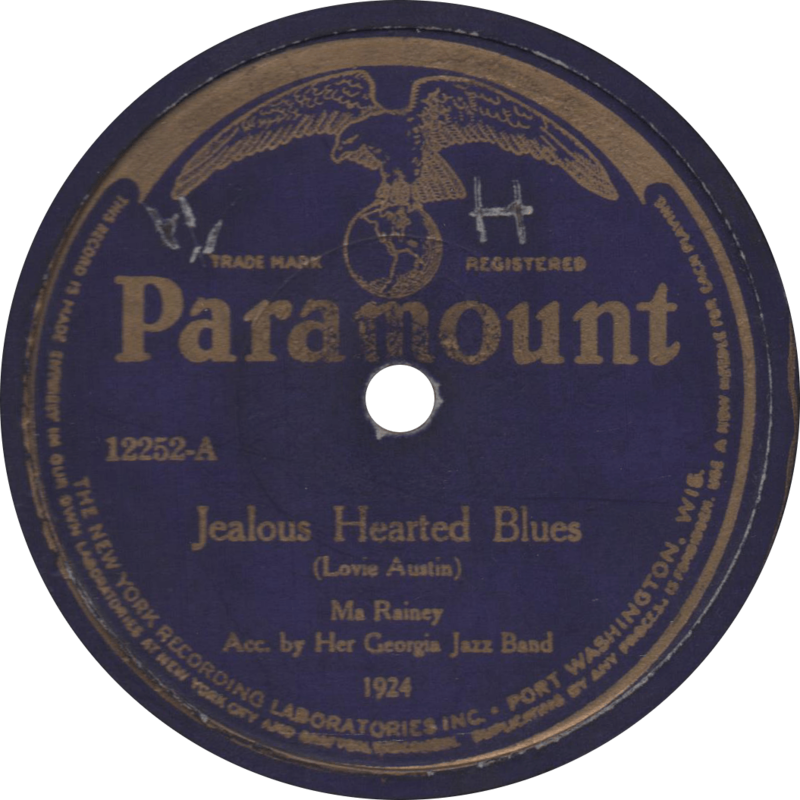 In Old Time Blues’ continuing series honoring the musical heritage of Texas, we pay due tribute to the bandleader whose orchestra bears the distinction of producing the earliest commercial recordings made within the borders of the Lone Star State: the Dallas-based pianist and songwriter Jack Gardner. Jack Gardner and his Orchestra, pictured on 1925 sheet music for “Dallas, I Love You”. Jack was born Francis Henry Gardner on August 14, 1903, in Joliet, Illinois. He took up playing piano while a young boy, and began playing professionally after the family relocated to Denver, Colorado, reportedly appearing with Boyd Senter’s band. He was also a competent and relatively prolific songwriter best remembered for the 1927 hit “Bye-Bye, Pretty Baby”. Many sources state that Gardner moved to Chicago in 1923 and remained there until 1937, but, unless there were two different pianists named Jack Gardner, that cannot be accurate as at least in the middle years of that decade, he was director of the house band at the stately Adolphus Hotel in Dallas, Texas. When Ralph S. Peer of the Okeh record company brought mobile recording equipment to a dealer’s warehouse in Dallas in 1924, Gardner and his orchestra had the special privilege of being the first to make commercial recordings in the state of Texas. 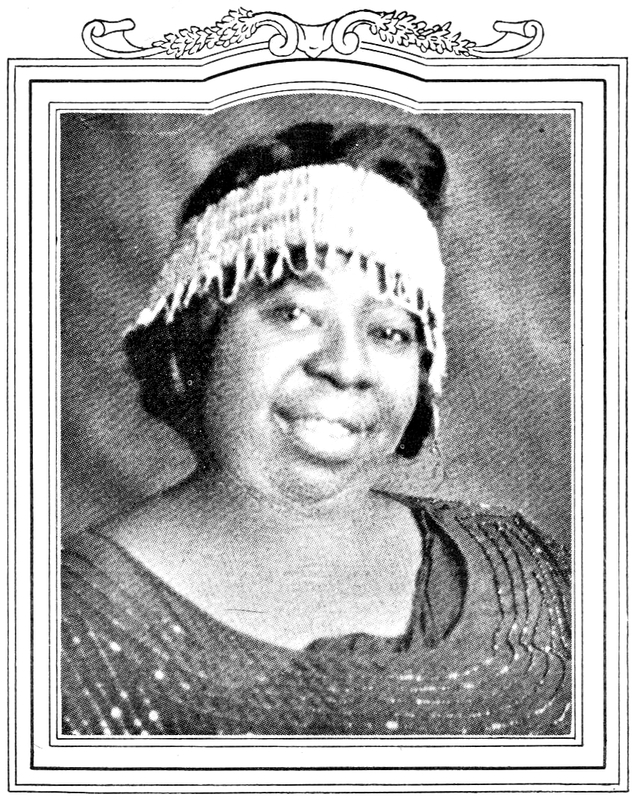 Upon Okeh’s return to Dallas the following year, his orchestra had another session, this time introducing the talent of local singer Irene Taylor, who would later go on to be featured by the most popular orchestra in the United States: Paul Whiteman’s. Gardner may have been in Chicago as early as the end of 1925, at which time he is suggested as a possible instrumentalist with Fred Hamm’s orchestra, one of a number of groups managed by Chicago impresario Edgar A. Benson. He had definitely made it to the toddling town by 1928, at which time he began sitting in with jazz bands such as those of Wingy Manone and Jimmy McPartland. In 1939, Gardner went to New York City to assume the role of pianist first with Sandy Williams, then in Texas-raised trumpeter Harry James’s orchestra, a position which he held for around a year before returning to Chicago. After an active period there, Jack Gardner returned to Dallas, where he remained until his death on November 26, 1957. Okeh 40339 was recorded in September or October of 1924, in Dallas, Texas, the Gardner band’s first session. Though the orchestra’s personnel is only tentatively identified, it probably includes at least some of the following members: Johnnie Mills and Charlie Willison cornets, Stanton Crocker on trombone, Robert B. Dean, Robert K. Harris, and Bernie Dillon on reeds, Jack Gardner on piano, Earl D. McMahan on banjo, Ralph W. “Cricket” Brown on tuba, and Bob Blassingame on drums. Dillon White sings the vocal on side “A”, and may also be an instrumentalist. First, Dillon White sings the vocal on “Who? 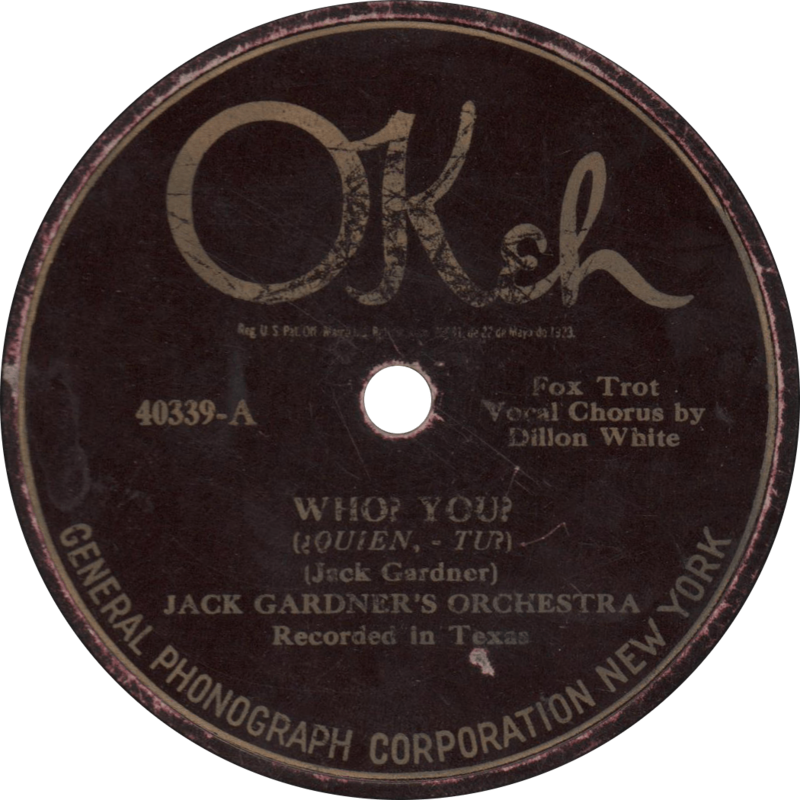 You?”, one of Jack Gardner’s own compositions. I must admit that White’s vocal gives me a little chuckle every time I listen to it (“Who? Yoouu!“), but that band sure could play! Who? You?, recorded c.September-October 1924 by Jack Gardner’s Orchestra. They follow with a wild, eccentric jazz tune, another Gardner original: “Who’d a Thunk It”. One thing you can say for certain: the folks in Texas did like their jazz played hot! Who’d a Thunk It, recorded c.September-October 1924 by Jack Gardner’s Orchestra. 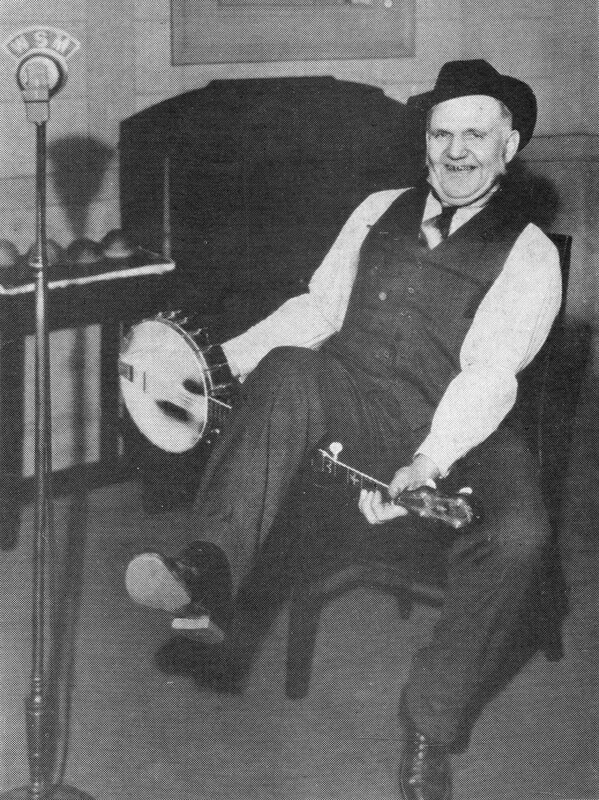 Uncle Dave Macon in a characteristic pose, as pictured in Songs and Stories of Uncle Dave Macon, 1938. With a stage persona that brought rural electrification to Tennessee early, the legendary “Dixie Dewdrop,” “King of the Hillbillies,” Uncle Dave Macon, has been called the “grandfather of country music” (Jimmie Rodgers, of course, being the “father”), and that’s no stretch; his energetic renditions of old time minstrel ditties and jubilant sacred songs made him an enduring and beloved favorite of Southern listeners from the dawn of radio entertainment until the early 1950s. David Harrison Macon was born on October 7, 1870, five miles south of McMinnville, Tennessee in small settlement of Smartt Station, son of Martha and Confederate veteran John Macon. In 1884, the Macons purchased a hotel and moved to Nashville. While there, the young Dave learned banjo from circus performer Joel Davidson. After his father was murdered in ’86, Macon and his mother sold the hotel and took up in Readyville. His mother ran a stagecoach inn there, and Dave used his musical proclivities to entertain guests. Soon after, Macon started a mule train, which lasted until the automobile killed off business in 1920. The next year, Macon was hired for his first professional musical engagement. In 1923, Macon was “discovered” by Marcus Loew of the famous theater chain of the same name, and brought into the world of processional vaudeville. Joining with fiddler Sid Harkreader, Macon’s act became a hit, and the Sterchi Brothers Furniture Company arranged a recording session for them with Vocalion in July of 1924. Late in 1925, the fledgling radio station WSM in Nashville started their Barn Dance program to compete the successful show of the same name on Chicago’s WLS, and Macon became one of the first stars of what would later become known as the Grand Ole Opry. In 1927, he formed the Fruit Jar Drinkers with the McGee Brothers and Mazy Todd. After recording for Vocalion from 1924 to 1929, Macon recorded only sporadically in the 1930s, with sessions for Okeh in 1930, the Starr Piano Company’s Champion in 1934 (try to find those records! ), and Victor’s Bluebird in 1935 and 1938. Despite slacking off in recording, Uncle Dave continued to perform live for many years. In 1940, he appeared in the Republic Pictures film Grand Ole Opry, accompanied by his son Dorris. Uncle Dave Macon played his last performance on March 1, 1952, and died three weeks later, on the twenty-second, at the age of eighty-one. His life is celebrated annually with “Uncle Dave Macon Days” in Murfreesboro, Tennessee. 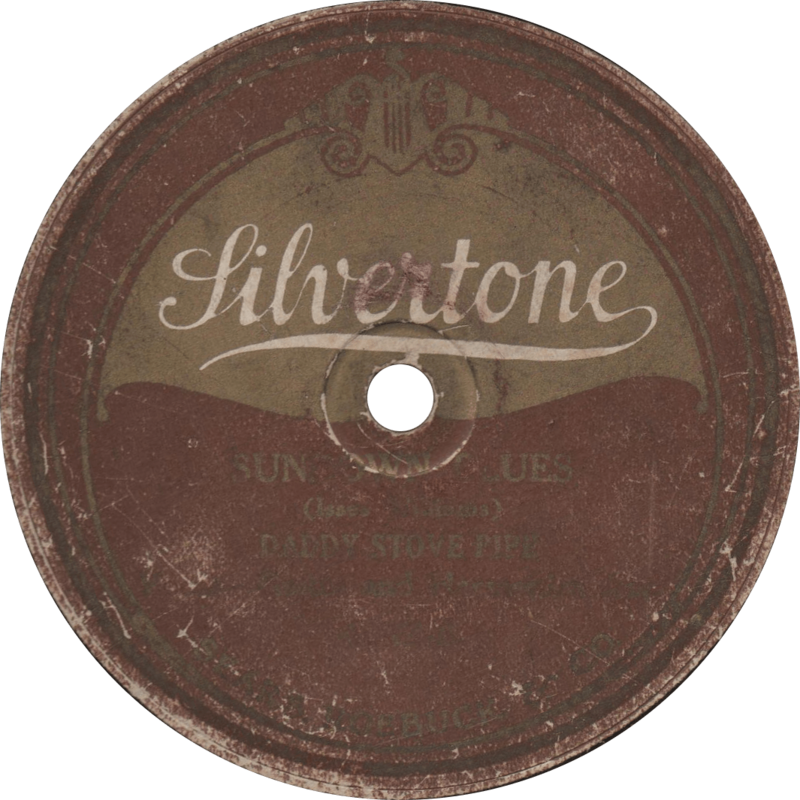 Vocalion 14848 was recorded on July 8 and 9, 1924 in New York City, “Sung and Played by Uncle Dave Macon (Banjo)”. It was shortly afterward issued on Vocalion 5041, in their “Hillbilly” series. It is comprised of his first and sixth recorded sides, and was his second issued record. The first side he ever recorded, “Keep My Skillet Good and Greasy” is one of Uncle Dave’s most iconic pieces, and perhaps his best remembered in this day and age. Fourteen years later, the song was published in his official songbook, Songs and Stories of Uncle Dave Macon. 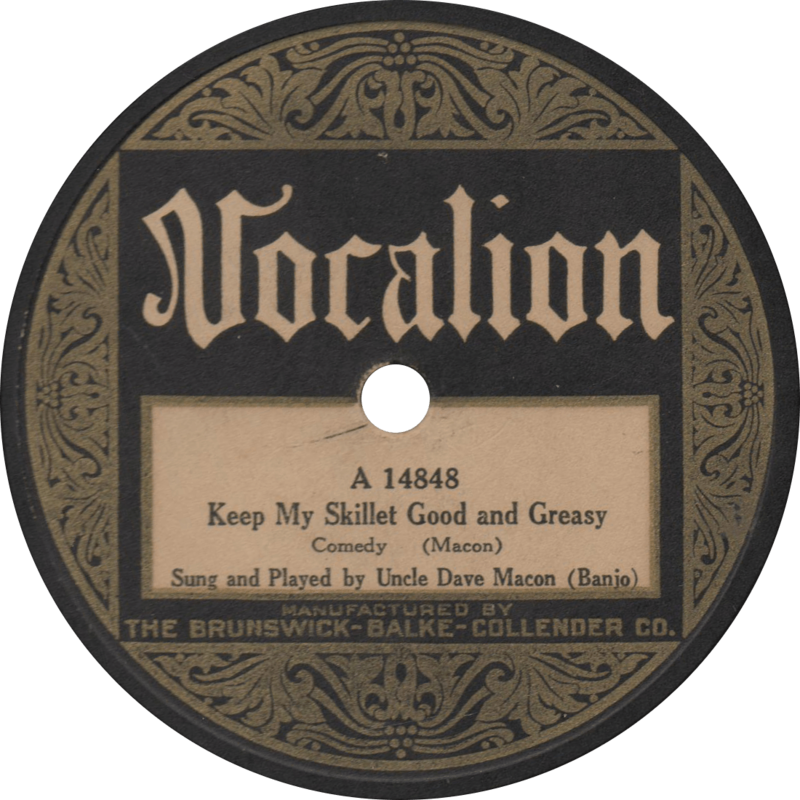 Keep My Skillet Good and Greasy, recorded July 8, 1924 by Uncle Dave Macon. 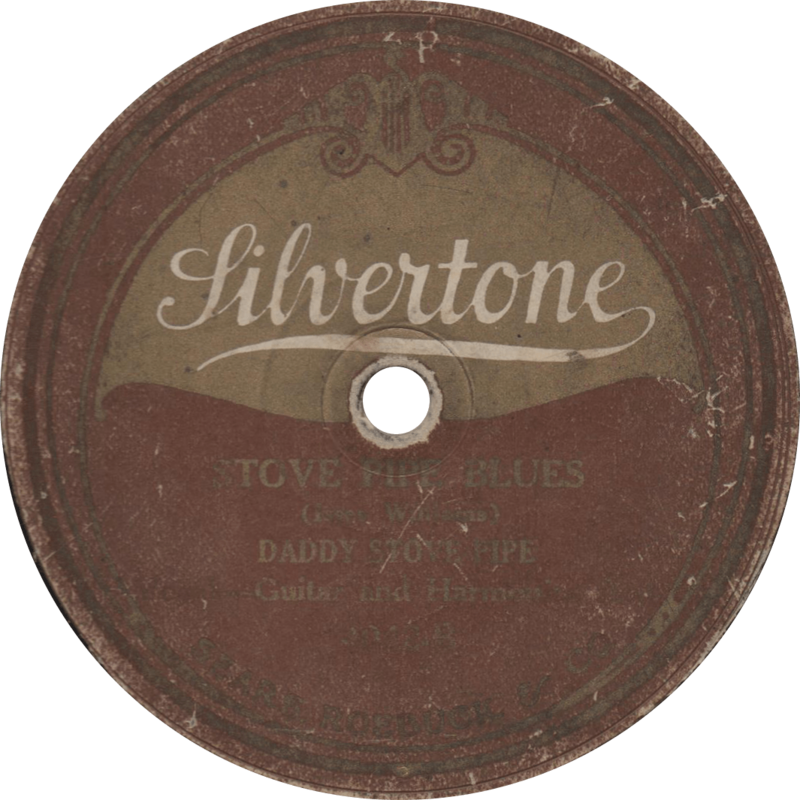 On the reverse, Uncle Dave plays and sings “Papa’s Billie Goat”, a cover of fellow country music pioneer Fiddlin’ John Carson’s recording of the previous year. 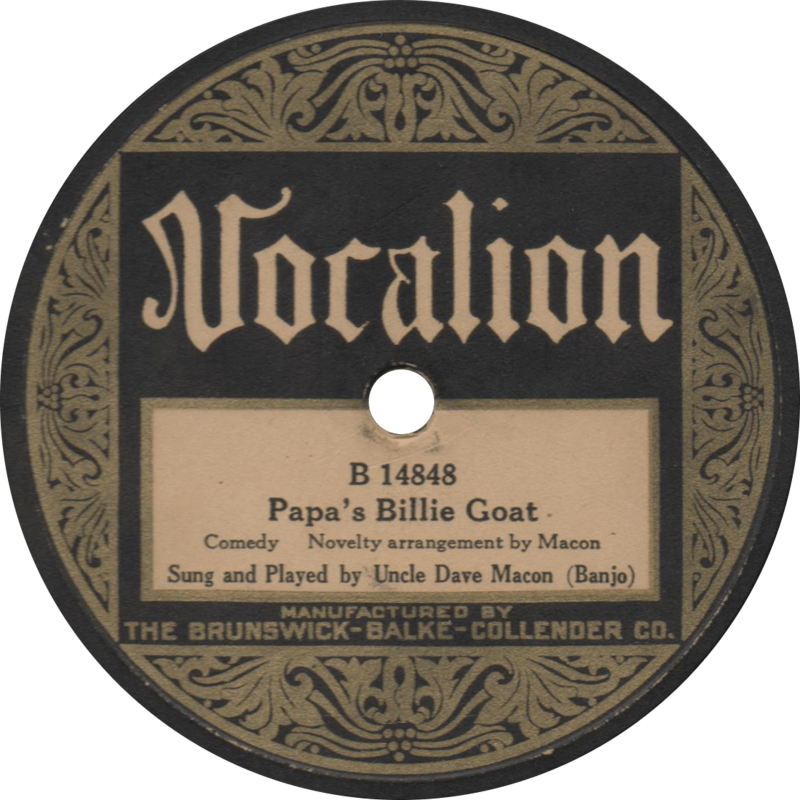 Papa’s Billie Goat, recorded July 9, 1924 by Uncle Dave Macon.